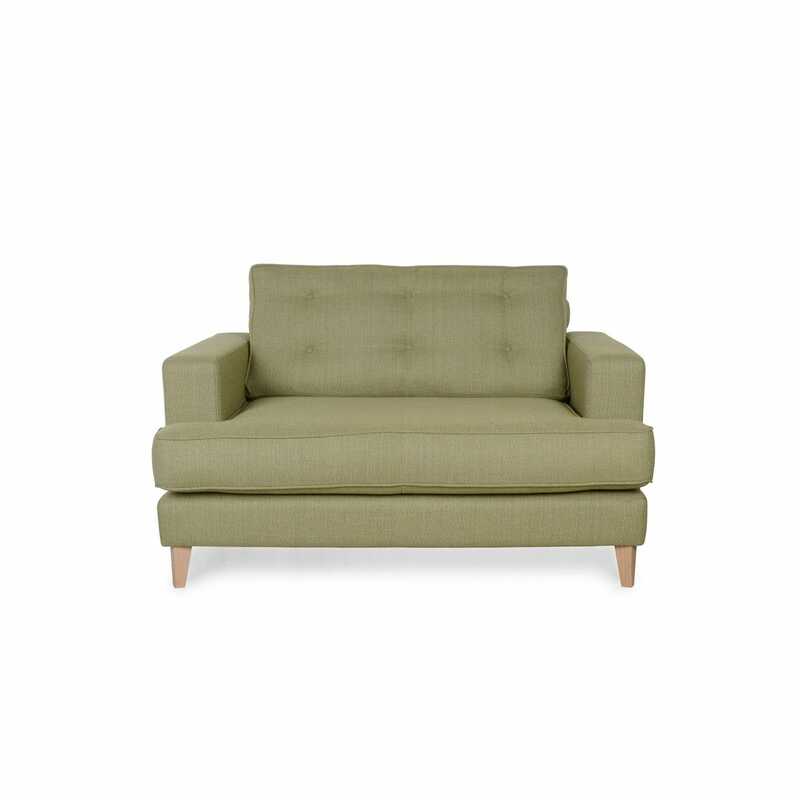 Buying a sofa is like falling in love - find the right one and you'll be together for life. To help your sofa to continue to look it's best, use our upholstery care guide for hints and tips. One of the most used pieces of furniture in the home, it’s important to give your sofa as much care and love as it gives to the space. With prolonged use, fabric upholstery will inevitably show signs of wear and tear, however, that’s not to say you can’t get years of quality service from your sofa. Our craftsmen build to the highest standards of durability, comfort and safety with all Heal’s furniture complying with current regulations on flammability. Unless otherwise stated Heal’s upholstery is designed for general domestic use only. All cushions, whether foam, fibre or feather filled, should be plumped up regularly, especially fibre or feather filled. Plumping is vital to best maintain upholstery on an ongoing basis, to help retain softness, comfort and appearance. Where cushions are reversible they should be turned regularly to prolong the life of both filling and fabric. Leather cushions may not be reversible as it is sometimes necessary to use fabric on the reverse to allow the cushions to breathe. Occasionally it may be necessary to undo the zip and slide your arm inside to re-adjust the edges of cushion in relation to the piping on the cushion cover during use. We do not advise placing upholstery in your home where it might receive prolonged exposure to sunlight, as this can cause fabric to fade. If you have pets then bear in mind that claws can be particularly damaging to upholstered furniture – as can any kind of sharp object. Use a vacuum cleaner or soft brush to remove surface dust on a weekly basis. Non-removable covers should not be washed or dry-cleaned. We do not recommend the use of spirit cleaner to remove spots and stains. If however, you choose to spot clean please be careful to follow the manufacturer's instructions. We recommend that furniture with non-removable covers should be fully cleaned once a year by a specialist cleaning company. It may be possible to wash or dry clean removable covers in accordance with the manufacturers cleaning instructions label. However Heal’s would recommend that all upholstery cleaning be carried out in situ even for removable covers. This will give a better-finished result. Some marks can be removed using a cloth moistened with mild soapy water-but never detergent. One of the characteristics of velvet is its inherent nap: that is, the pile of the fabric will move and catch the light in different directions. This is the nature of the fabric and it should not be viewed as a fault. Sometimes, the pile may appear crushed when new, but this can be resolved by sweeping with a clothes brush (or in rare cases, by professional steaming). Over time, the pile will crush but this is part of the antiquing process and will not affect the durability or charm of the product. Read our full velvet care guide for tips on how to look after your velvet sofa. Leather sofas attract admiring glances and combines luxury with durability and comfort. Leather is resistant to staining, cracking and withstands a lot of wear and tear. Over time, with the correct care, the look and feel of leather improves making it a good investment. Read our full leather care guide for tips on how to look after your leather upholstery. Good Design. Well Made. These two simple rules have directed Heal’s collections for more than 200 years. We are known for placing a high value on innovation by good design, craftsmanship and quality materials, so our customers can expect nothing less than the best. This is why we offer a lifetime guarantee on sofa frames. The mechanisms of sofa beds and recliners are guaranteed for six years. Our cushion fillings and coverings are guaranteed for a period of one year, on the basis that they are cared for as directed in our sofa care guide.